Jim Tobin, is president of Ignite Social Media, widely recognized as being “the original social media agency.” He is also author of 2008’s Social Media is a Cocktail Party and a new book publishing in the fall of 2013, Earn It. Don’t Buy It. The CMO’s Guide to Social Media Marketing in a Post Facebook World. 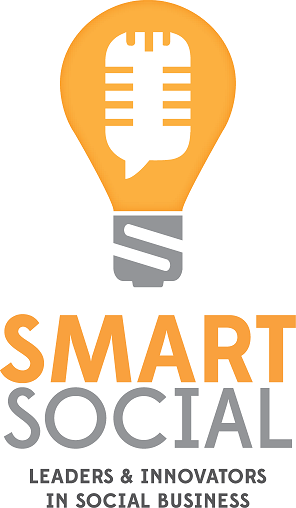 Jim recently joined Social: IRL Principal Ben Smith, and Expion VP of Strategy, Zena Weist, for Smart Social, an ongoing series of conversations with leaders and innovators in social business. During the interview Jim discussed issues ranging from the evolution of Facebook and challenges it’s now facing in keeping users engaged, to Facebook’s advertising model and its impact on user experience, to frustrations with the current state of social marketing and an over-reliance on buying impressions rather than earning engagement. The interview was conducted via Google Hangout. Part One: Jim discusses the title of his new book, in particular the reference to a “post Facebook World.” From there Jim discusses where the onus lies in keeping users engaged in the channel – with Facebook in the UX, or with brands in the quality of content created and shared? Jim also discusses Facebook’s current advertising model and whether financial success had come at the expense of user experience. Part Two: Jim discusses social media advertising vs. social media marketing and the need to move beyond simply buying impressions to develop a deeper understanding of your audience and what they care about – why they care about your brand, what gets them to react to your content, what gets them to advocate for you. Part Three: Jim discusses the current agency environment and the role of niche specialty agencies, such as Ignite. A key point of emphasis, the need for greater agency collaboration with a focus on the end-user experience. Part Four: Jim shares some of the frustrations he feels towards the current state of social media marketing and a too common reliance on buying impressions rather than earning results. It was these frustrations that ultimately proved to be the motivating factor behind his new book. Great insights shared by Jim Tobin. I agree with him especially on Facebook becoming less interesting to us. The days of playing in the “sandbox” there with friends are over, it’s really about the ad spend there if you are brand. I’m curious to know what he thinks of Google+ and its advantages when it comes to local business and search.